Matches the duvet & sheeting. One very natural, relaxed design which oozes charm & character. 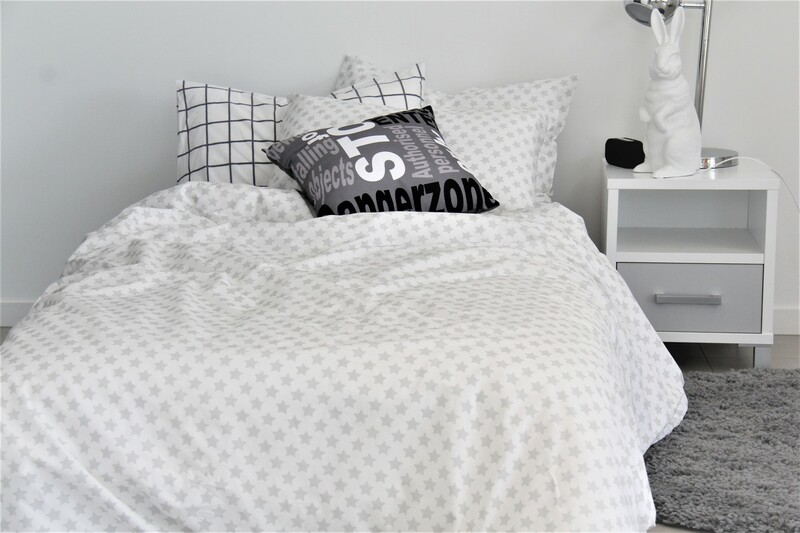 This duvet has divine silvery grey stars on a crisp white background. 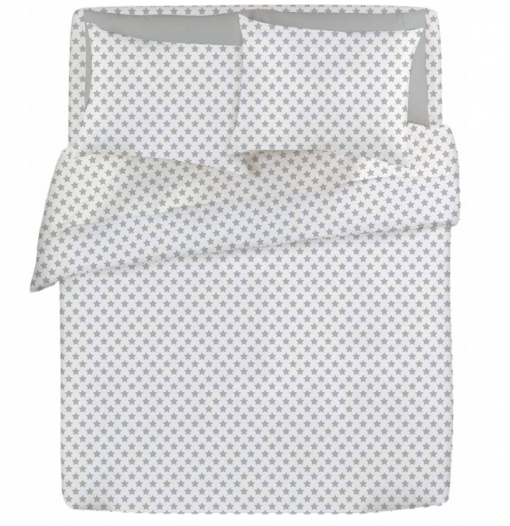 Unisex, it looks lovely in a new nursery, first bed or in any room requiring cool, calm colours.